The invention of Nylon Stockings ! 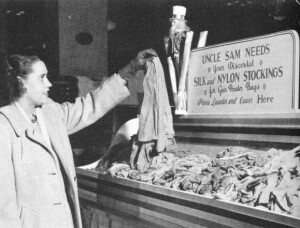 The story of nylon, and subsequently – nylon stockings began with a gentleman called Wallace Carothers, whose team at DuPonts chemical company, after ten years of research in the field of Polymers, produced a fiber that was to replace silk in many clothing garments.After his lab came up with dozens of polymide contenders, Carothers chose nylon to develop. It was patented in 1937 and introduced to the world at the New York Worlds fair in 1939. On October 27, 1938, Charles Stine, vice president of Du Pont,announced that nylon had been invented. 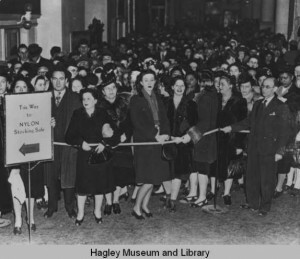 Unveiling the world’s first synthetic fiber not to a room full of corporates or scientists but to the three thousand strong women’s club members who were gathered at the site of the New York World’s Fair for the New York. He exclaimed ” nylon can be fashioned into filaments as strong as steel, as fine as a spider’s web, yet more elastic than any of the common natural fibers.” Thinking that “strong as steel” meant indestructible stockings, the women at the forum burst into applause. Read the full Nylon Story at the Smithsonian Institution. 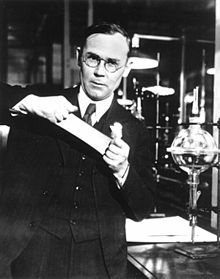 Sadly, Wallace Carothers was not alive to enjoy the fame. The previous year suffering from manic depression, he took his life. He could hardly have known the impact he was to have had on a woman’s life. 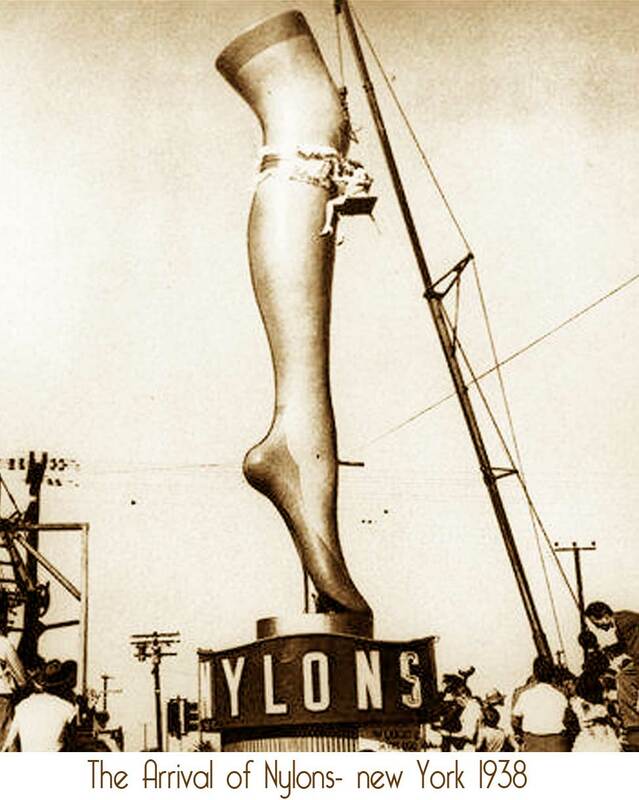 Commercial production of nylon stockings began in 1939, and by the end of 1940 had sold over 64 million pairs ! But the outbreak of war with Japan only led their sale to be limited and to be rationed during the war years. Nylon as it turned out had other interesting qualities. It could be used for parachutes and even components of bombs! Patriotically, women handed in their spare and used stockings to aid the war effort, after a nationwide campaign was launched. Your Nation needs Stockings ! Nylon stockings were also present in many GI’s kitbags to impress the glamor starved British women. When the war was over, full production was back. One store in San Francisco had to close their doors after over 10,000 anxious women had mobbed the place. See vintage nylon ladies gallery here!